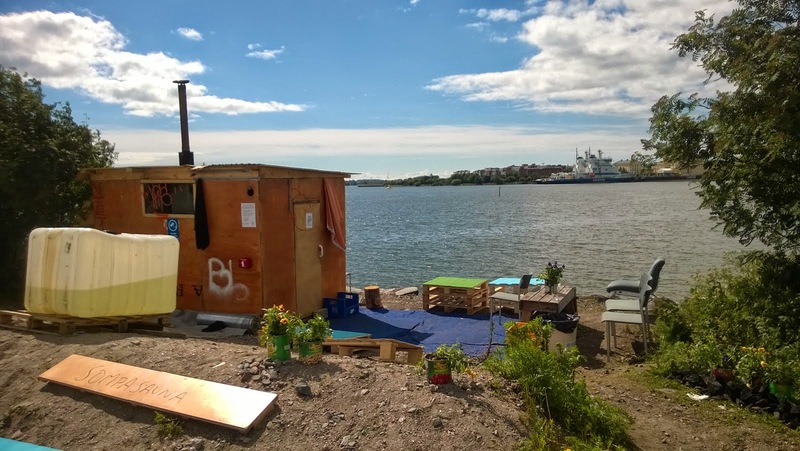 While extremly tiny flat saunas are getting the norm for Helsinki new flats, the sauna culture might be loosing something. Tiny sauna means you won't be able to offer it to the whole family or to a bunch o friends visiting. Having the sauna in the flat prevent you to go in larger public ones, making it less social. And what about the perfect combination of sensation to alternate hot steam and cold bath in the sea? Maybe it is with this in mind that the Sompasauna was put up in Kalasatama. 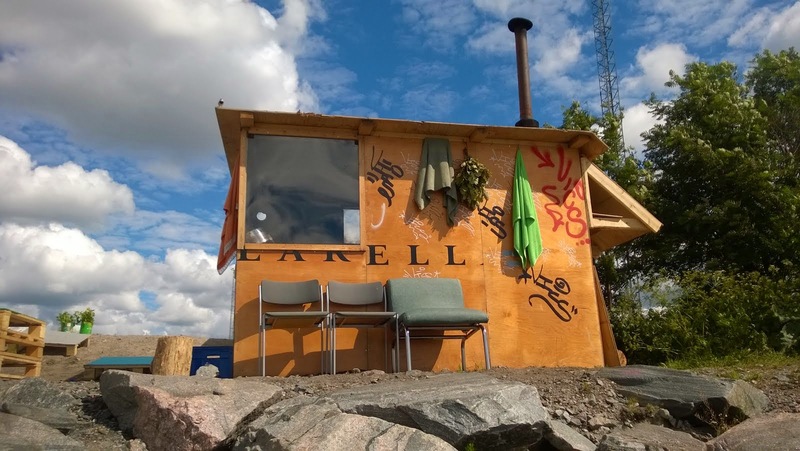 A public, free, non-bookable, mixed sauna. Wood-fired and right by the sea with one of the finest urban landscapes in sight: Katajanokka and its fleet of icebreakers.